The title is what my concern is. What is the Fate of the Video Game Industry? In a time of 5 year olds’ with iPhones & Tablets, 3D TV’s thinner that my morning pancake and enough open built in GPS locators in any portable device to put Russian Spys out a job. The game industry is on the cusp of something very different. I have been involved in gaming most of my life, and I see a trend that is speedily moving towards a indisputable fate. The fate of of sequels, prequels, and “cheapquels”. A time when the current generation knows more about DLC and “4’s and 5’s” of a game, than about the essence of collecting physical games with real smelling instructions, vintage packaging and the feeling of owning a prestigious hard earned rack full of their favorite system’s video games. Does any of the above bring concern to the video game industry we all know and love? 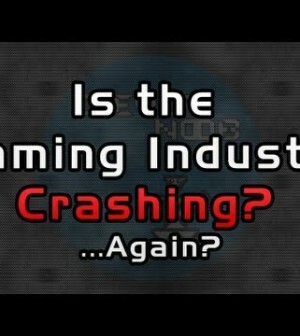 Has the industry peaked out once again, and will history prove to repeat itself from the great game crash of 80’s? As a gamer, businessman and journalist, I predict a severe and necessary shift in the industry. Will we see the shift at this year’s E3? Will we see it over the next 18 months? Whether it’s right now, or the not so distant future, gamers will seek out creativity, unique experiences and innovation that defined the industry for the past 20 years. But, the question is will the video gaming industry listen or will they continue on their intended commercial endeavors of mass milking? Only this years E3 and coming months will tell which way the industry will sail it’s ship.